We've compared 715 Huawei Mate 20 X deals. The cheapest contract price is £33.62 per month on average over 24 months with an upfront cost of £446.99. For a free device, the best price is £38.25 per month on average. These may not be the best offers - there are factors such as data allowance, network and contract length to consider depending on your needs. SIM-Free (unlocked, no SIM) and Pay-as-you-go (locked, with SIM) deals can be found from £699.99 in the SIM-Free tab if wish to purchase without a contract. 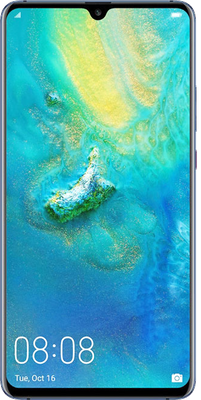 Huawei Mate 20 X is a smartphone that comes with a 7.2-inch touchscreen display and a resolution of 1080 pixels by 2244 pixels. The Huawei Mate 20 X is powered by a 2.6 GHz Octa-core & 1.92 GHz Octa-core & 1.8 GHz Octa-core processor and packs 6GB of RAM. The device runs Android 9.0 and features a triple camera on the rear, with the main one packing 40-megapixel. £46 per month, with FREE phone. Comes with £150 Redemption Cashback. £42 per month, £9.99 upfront. These are meant for new customers to the network - for example if you're currently on O2 but you'd like to switch to EE. We have 709 new customer contract Huawei Mate 20 X deals available from Vodafone and EE. If you're an existing customer you can take one of these deals, which will allow to you stay with your current network with no interuptions and keep the same number. We don't currently have any upgrade deals for Huawei Mate 20 X available.